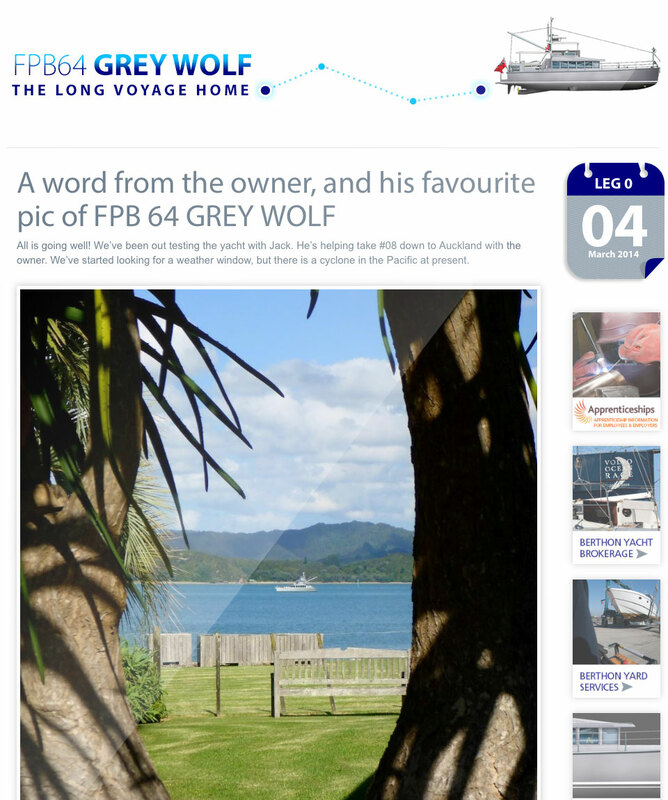 The incredible Steve Dashew FPB 64 yacht, Grey Wolf, will embark on an epic voyage from Auckland (New Zealand) to Guernsey. These boats have a phenomenal range and were designed for long distance cruising. 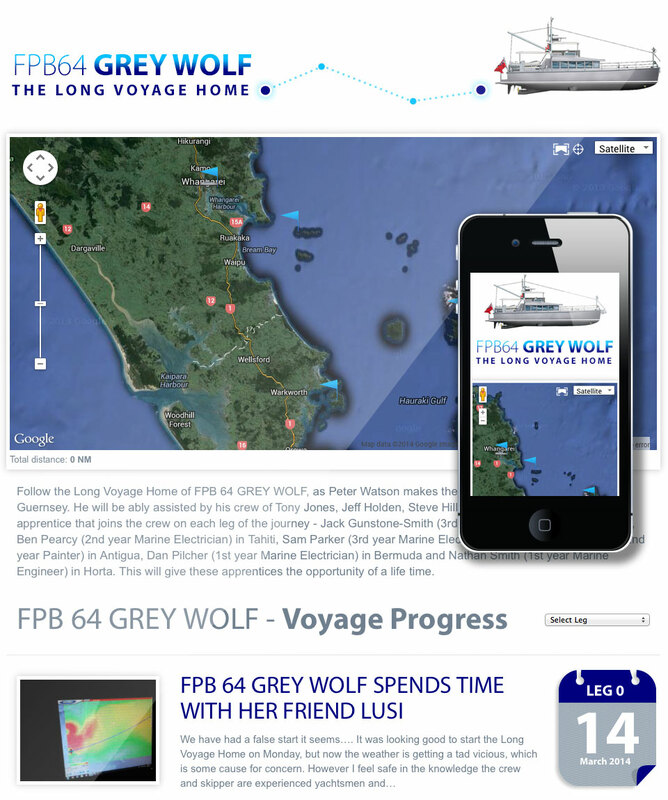 The website that FPB brokers, Berthon, commissioned Tinstar to create, was designed to allow visitors to track the progress of Grey Wolf, which would be carrying Berthon apprentices along the way. The website is completely responsive (mobile friendly) and features a Google map that allows the client to input the GPS position and track of the ship whilst she picks her way across the Big Blue.